If the “Booking Search” and the “Booking Catalog” views do not work best for your website, and you’d prefer a “classic” step-by-step booking process, the “Step-By-Step Booking Wizard” view is the solution. 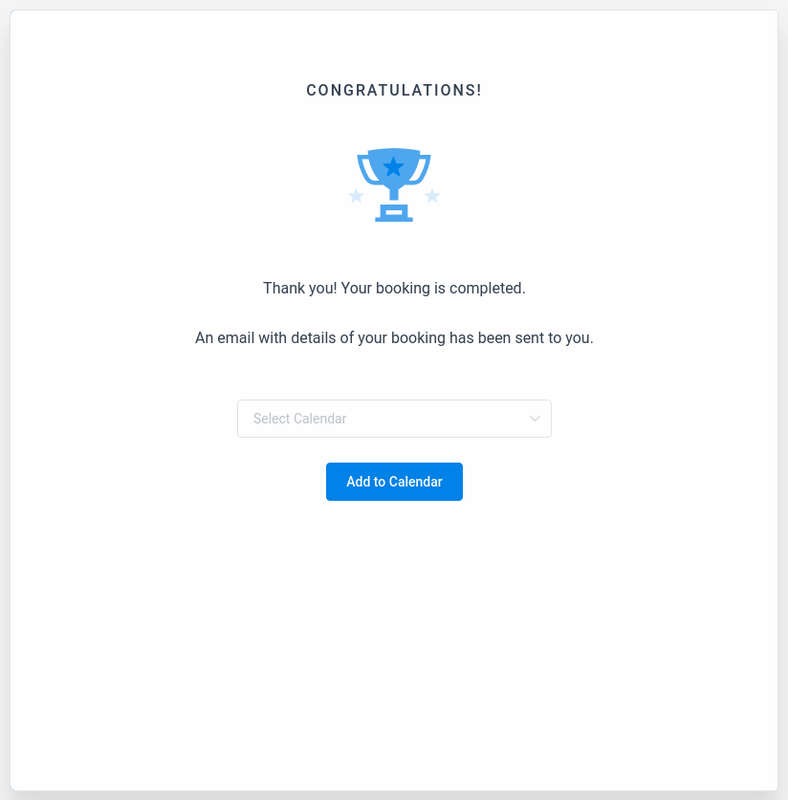 The “Step-By-Step Booking Wizard” gives your customers the option to choose everything about the booking in a few steps. To add this view on one of your pages, click on the “Pages” in the WordPress admin panel, and then on the “Add New” link. You will see the “Amelia” insert shortcode button in your TinyMCE editor. After you click on it, the Amelia booking widget will open. Select “Booking” from the drop-down, click “OK”, and “Publish” your page. 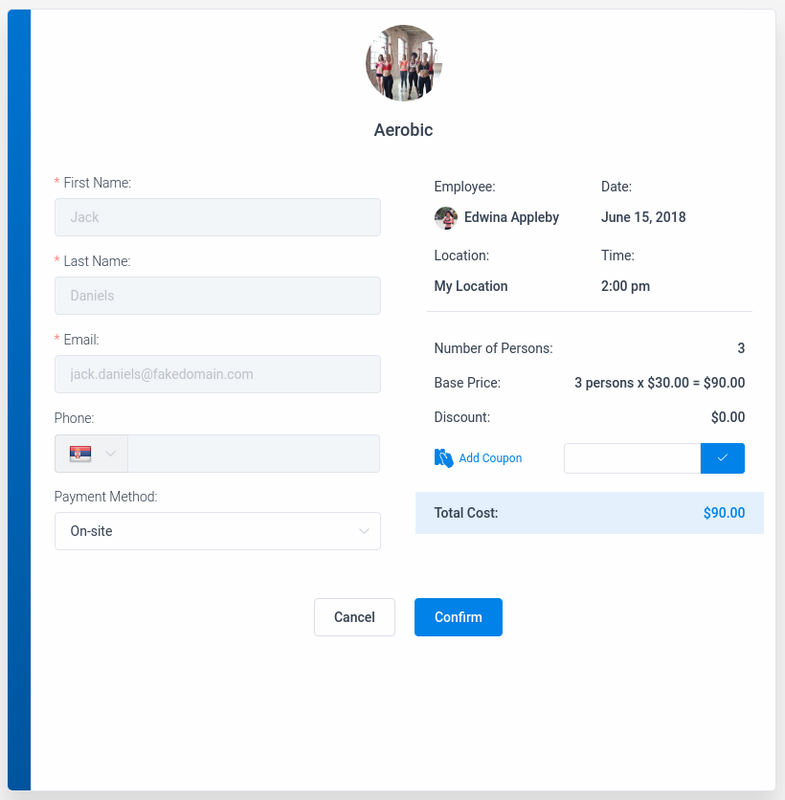 This will show you the basic booking form with all the options for choosing the services, locations, and employees (if you have it more than one). 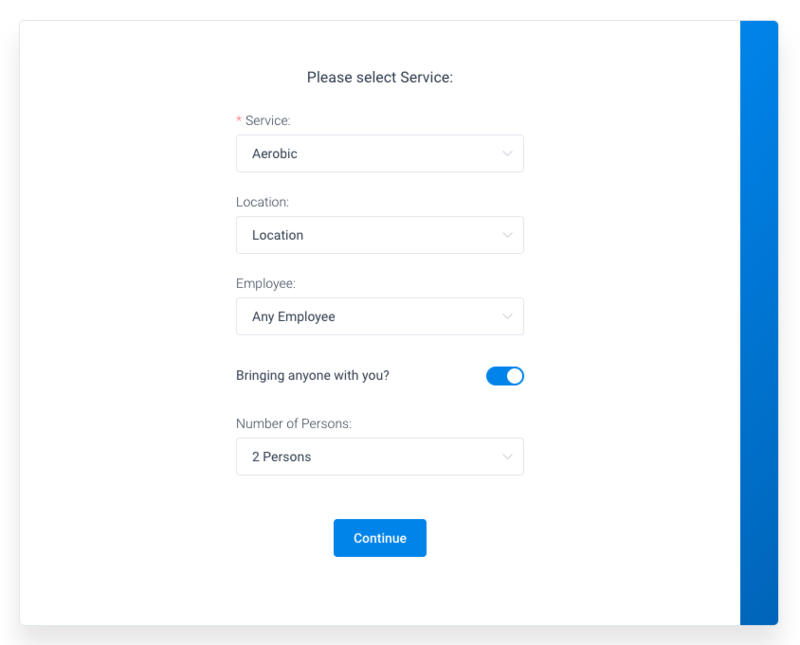 However, if you want to show a booking form for one specific employee, location, service, or you want to show the services from one specific category, click on the “Preselect Booking Parameters”. Four new options will appear so you can show a different booking form. These options allow you to set, for example, a different booking form for each employee. Or any other combination that you need. Just put the shortcode on the page and “Publish” it. In the first step, your customer will be offered to choose a “Service”, a “Location” and an “Employee”. Depending on the chosen service two new options may appear: “Add extra” and “Bringing anyone with you?”. If the user chooses to add an extra, again, a new option will appear to select the extra and extra quantity. Depending on the chosen extra this action will affect free time slots and service price. “Bringing anyone with you?” is for customers that want to add some of their friends or family to come with them to the appointment without needing to enter data for all members. 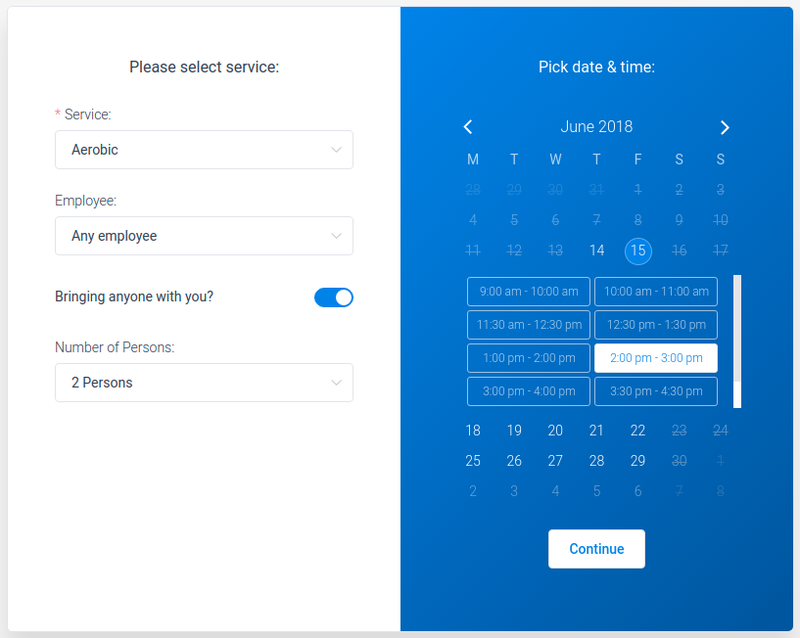 After they click “Continue” they will see the second step – the calendar in which they can choose a specific day from the available dates to book their appointment. Once they select the available date time slots will appear. After the time slot is selected, clicking the “Continue” button will send them to the third step of the Booking Wizard. The third step is exactly the same as explained in the “Front-end Booking Search” view. It is a step where your customer enters the personal info, selects the payment method, adds coupon if he or she has one, and confirms that the appointment data and price calculation are correct. If the “PayPal” payment method was chosen, the “PayPal” modal will appear as the next step. If some other payment method is selected, the payment and emails will be sent, the appointment will be added, and the last step of the booking will appear. The last step of the “Booking Wizard” is an option for your customers to add their appointment to the calendar. There are four options to choose here: “Google Calendar”, “Yahoo Calendar”, “iCal Calendar” and “Outlook Calendar”.